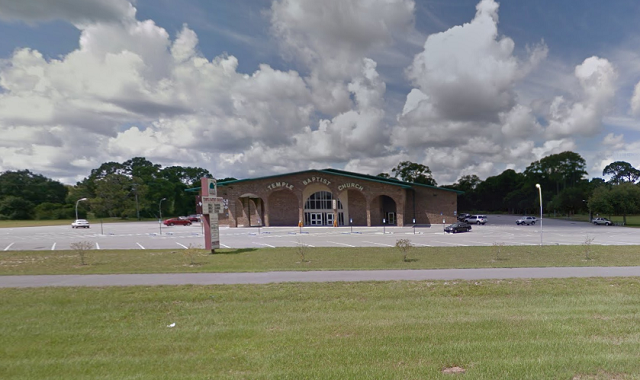 TITUSVILLE, Florida - The Titusville Police Department has identified the worker who was killed while landscaping at the Temple Baptist Church as 25-year-old Matthew D. Pollison of Titusville, Florida. Police say that around 7:30 a.m. on Friday, May 6, 2016, Pollison was spreading mulch around a tree area near the church parking lot located at 1400 North Washington Avenue when he was accidentally struck by a Ford F450 work truck as it was backing up. The driver of the truck has been identified as 21-year-old Christian K. Conley. Pollison was transported to Parrish Medical Center where he was pronounced deceased. An investigation of the traffic crash homicide is currently being conducted by the Titusville Police Department.